We know that we can help people feel much more involved in their communities simply by attending gigs and developing new friendships as a result. We are therefore really excited that this January Gig Buddies will be partnering with Independent Venue Week – Monday 25th January – Sunday 31st January 2016. Independent Venue Week is a 7 day celebration of small music venues around the UK and ‘a nod to the people that own, run and work in them, week in, week out.’ Like us at Gig Buddies they like to celebrate the diversity of the wonderful smaller-scale live music scene across the UK. This year, they want to make sure that the amazing line-up of gigs is accessible to a diverse audience. Stay Up Late are asking organisations interested in replicating Gig Buddies to support people with a learning disability to go out and review gigs during the week. And…the most creative review will win a £40 record voucher at your local independent music store. Or £40 to spend on tickets to gigs at a venue participating in Independent Venue Week! We will be subsidising tickets for adults with a learning disability to bring an accompanying person for support (thanks to Arts Council for funding this). Many venues may already offer this as it is general good practice for ensuring disability equality, but as this can be difficult for some smaller venues. We would love everyone to take this opportunity to enable people to enjoy Independent Venue Week. In Brighton, the venues taking part in IVW are the awesome Sticky Mike’s Frog Bar and The Hope and Ruin. We love these venues because they already offer guest list for a pair of gig buddies for shows they put on. We can refund a ticket for a helper / personal assistant / accompanying person of a disabled customer going to check out a gig during Independent Venue Week. We can refund up to the value of £12. – Let Madeline know your bank details or the address to send a cheque to. – Let Madeline know the name of the disabled customer, and organisation that you heard about Independent Venue Week through. 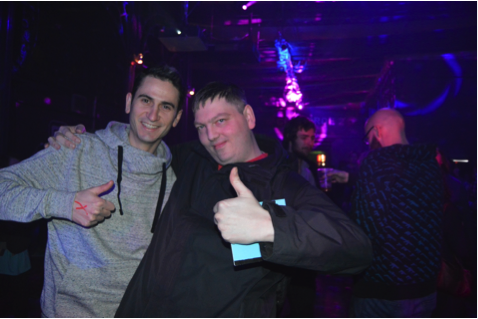 After the gig, the audience member with a learning disability should send Stay Up Late a review of the gig. This could be a bit of writing, a video, a recorded interview, a photo, or a picture. The most creative one will win the £40 voucher. Check out our guide to doing reviews here. Send your reviews to Madeline! They will be judged by some of our gig buddies people. The winner will be announced in February.